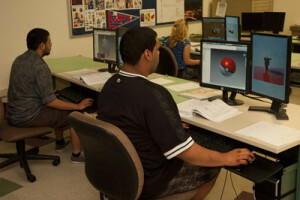 Earn user certifications for AUTOCAD softwares. 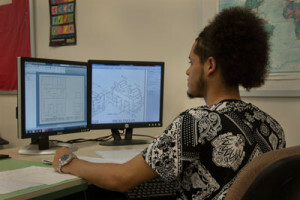 Prepare for a professional career as a certified drafter in the architectural or mechanical design fields. 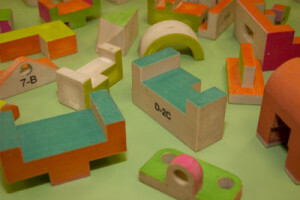 Model and create objects with a 3D printer. Design a future home for a client, yourself, or your family. Utilize the latest software in the drafting and entertainment industries on powerful, high-speed computers with dual monitors. I graduated from Exeter High School and then received an associate degree in architectural engineering. I then worked in the architectural design field for 20 years. My father owned a small machine shop and would bring home drawings that I found amazing. I used to enjoy using his drafting tools to draw. I am in love with buildings and like to see different styles around the world, in my travels. I started doing manual drafting after graduating from college, then moved to computer drafting when it was new. Computer drafting has come a long way to the point where it’s hard to tell if it is real or a computer image. I enjoy traveling abroad and have been to many exciting places. I like to play golf and watch all Philly sports teams. My wife and I enjoy ballroom dancing and walking our dogs. I still enjoy working on the computer to design and draw. I worked for various architectural firms in the Reading, Allentown, and Philadelphia areas for 20 years before becoming a teacher. I’ve worked on projects from single-family houses to multi-story commercial office buildings, schools, hospitals, and manufacturing clean rooms. I started design work on the drafting board and then, in 1988, started computer drafting. 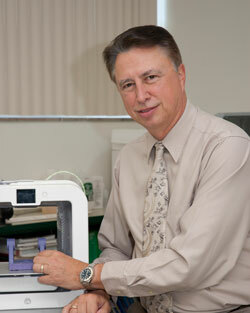 I use AutoCAD, Revit, Inventor, and SolidWorks software. I also teach night school for Penn State Berks. I am involved with aiding disabled children horseback ride.